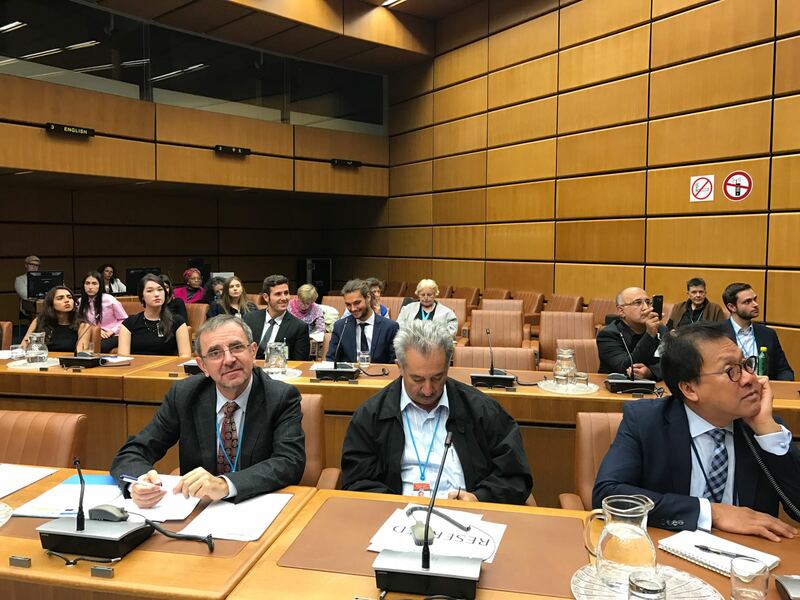 The following comments were delivered by the Secretary General of the AIDLR, Dr. Liviu Olteanu, during the event organized on 12 October 2017 at Vienna International Centre, by the “Conference of NGOs in Consultative Relationship with the United Nations (CoNGO)” and in cooperation with the “United Nations Information Service (UNIS), Vienna”, where the debate focused on "Diversity unites! - Governments and NGOs: Together against radicalization". Olteanu underlined that radicalization has different causes. Radicalization can be nurtured in the field of religion by extremist religious leaders and followers of one religion or belief; lack of inclusion programs for migrants and refugees; other causes might include treating the religious sentiments of others with a lack of respect; misinterpreting and (mis)use of the religion by populist and extremist politicians, and so on. The topic proposed is a very complex one. How can we fight against radicalization? The AIDLR Secretary General’s proposal is: Diversity against radicalization by: knowing each other better, inclusivity, education and cooperation of all actors. Though together we must condemn extremism, populism, radicalization and terrorism, it is not enough. The world today needs a new approach regarding how to (re)build diversity because diversity is a crucial factor for unity. This is something that is crucial for our society: If I do not know the ideas, emotions and hopes of another, I cannot know him, nor respect him. I cannot practice active tolerance towards him/her and I will project a false image of him/her that will prove unjust and oppressive. Tolerance is respect for diversity through our common humanity. The climate of tolerance starts through eliminating the factors that threaten peace and democracy, namely: prejudice, violence, xenophobia, racism, aggressive nationalism, extremism, violations of human rights, religious intolerance, terrorism and the growing gap between rich and poor countries. OLTEANU believes that one of the great difficulties we can see at the beginning of the 21st Century, resides in reconciling cultural identity and respect for differences in a society where beliefs and cultures coexist. We need a positive practice of tolerance. Active tolerance requires the practice of recognition of others. We should consider religious diversity as useful for our times. Religious intolerance often leads to hatred, division and war. Religious people too often betray the noble ideals they themselves have preached. What is needed today, – according to Heiner BIELEFELDT- is a critical defense of universal human rights in a way that gives room for different cultural and religious interpretations. And according to Ahmed SHAHEED, the UN Special Rapporteur on Freedom of Religion or Belief, resilience against religious extremism can be built on strengthening diversity as well as freedom of religion or belief. The rights to freedom of religion or belief cannot be sacrificed in preventing or countering violent extremism. To solve the issue of radicalization and extremism, the principal and necessary KEY IS EDUCATION, the training of all actors, and starting the education process by training the trainers. Who are these actors? Dr. Olteanu, the Secretary General of the AIDLR proposed for the first time in 2013 and stresses again and again today on the successful paradigm of the “Dialogue Five Framework”: 1) Diplomats, 2) Politicians, 3) Religious leaders, 4) Educators, 5) Civil Society (Media, NGOs, Lawyers) that must work together at three levels: national, regional and international on common values, human rights and intercultural and interreligious dialogue. In particular special attention should be paid to the training of religious leaders on common values, pluralism, democracy and diversity against extremism and radicalization of their members. Photo: Secretary General of the AIDLR, L. Olteanu at the Conference “Diversity unites! -Governments and NGOs: Together against radicalization”, at the UN in Vienna, on 12 October 2017.